In this new series, Jennifer Ashley Tepper, the author of The Untold Stories of Broadway book series and creative and programming director of Feinstein’s/54 Below, will be sharing fascinating facts about Broadway’s historic venues. First up, the Nederlander Theatre! 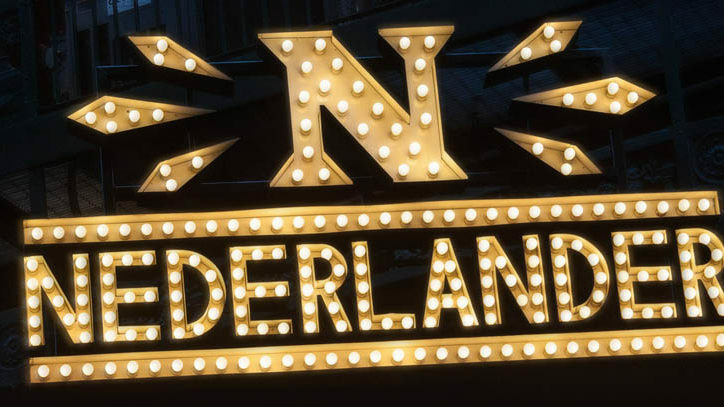 The Nederlander Theatre, named after David T. Nederlander, was built in 1921, originally as a large multilevel carpenter’s shop that also contained club rooms, showers, apartments, and a tennis court. Originally called the National Theatre, it was purchased by the Nederlander Organization in 1978. Over the years, the Nederlander has been home to groundbreaking shows, like Inherit the Wind (1955), Rent (1996), and currently War Paint. The Nederlander is the only Broadway theatre still standing that hosted famed magician Harry Houdini. 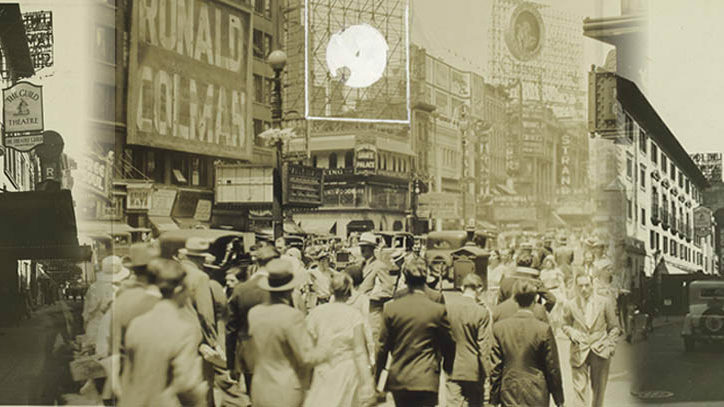 In 1926, Houdini performed there only a few months before his death. Many early career artists worked at the Nederlander when they were just starting out, from playwright Sidney Howard, who went on to write the screen adaptation of Gone With the Wind, to actress Marian Seldes, who made her Broadway debut there in a production of Medea when she was 19 years old. Carol Channing got her big break at the theatre in 1948, in the show Lend an Ear, which made her a star overnight. In 1962, the show A Family Affair marked the first Broadway musical composed by John Kander and the first directed by Harold Prince. The theatre was also the home of the first Broadway musical that golden age writers Alan Jay Lerner and Frederick Loewe collaborated on. It was called What’s Up? and it closed in 1944 after only 63 performances. The show was about pilots who found themselves stuck in an all-girls school. The following year, Lerner and Loewe had their second Broadway musical also play the National and also flop: a show called The Day Before Spring, about a college reunion. A few years later, they returned to Broadway with a string of hits: Brigadoon, Paint Your Wagon, My Fair Lady, and Camelot. 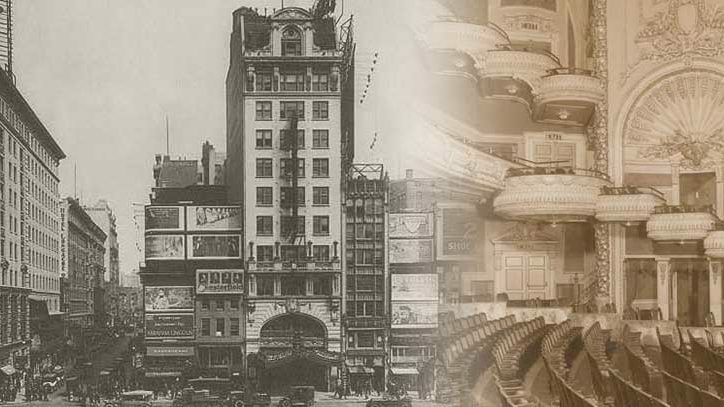 The first revolving stage utilized in a Broadway show was at the Nederlander, for Grand Hotel. This hit 1930 play was also a significant reason why the theatre avoided closing during the Great Depression. Edward Albee made a significant mark at the Nederlander. 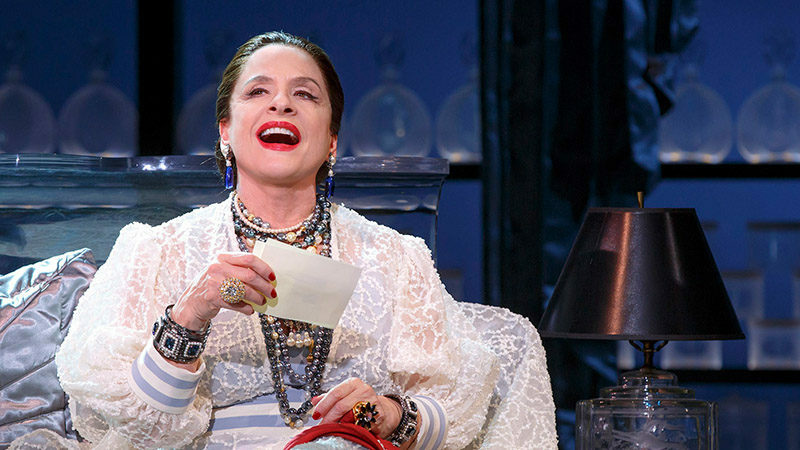 He made his Broadway debut there with Who’s Afraid of Virginia Woolf? and his works Tiny Alice, The Zoo Story, and The American Dream played the house as well. While Jonathan Larson sadly did not live to see his dream of having a show on Broadway come true, with Rent, he did spend time at the Nederlander, which would one day be its home. Around 1992, he and his best friend Jonathan Burkhart were riding their bikes down 41st Street when they saw it was possible to step into the empty Nederlander Theatre. Larson hopped on stage and spent a moment imagining what it would be like to have a show there. In the back alley of the Nederlander there is a long wall stretching to the dressing room tower. For many years, this was the “Rent wall,” which was signed by hundreds of people who saw the show. The Rent wall lived on during later shows, including Million Dollar Quartet and Newsies, but it has since been painted over. A small corner of it remains. For more on Broadway’s Nederlander Theatre, check out The Untold Stories of Broadway, at dresscirclepublishing.com.